While we provide top-notch cleaning and restorative services on all kinds of rugs, Oriental and Persian rugs is one of our specialties. Due to their monumental value, we take extra care of these rugs to ensure that they're clean inside and out by the time we've returned them. 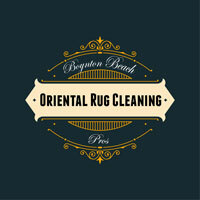 Although cleaning these rugs can be difficult, our team at Boynton Beach Oriental Rug Cleaning Pros has the knowledge and experience to except the challenge. When cleaning and serving Persian rugs, our team starts by conducting an in-depth assessment of each individual rug, evaluating the stains and marks each rug bears and double-checking to ensure there is no additional structural damage. Our team also examines the fringes of the rugs, and learns about the rugs origins and materials, then they move on to determine the appropriate detergent and cleaning agents that will be used throughout our custom cleaning process. While conducting such a thorough inspection might seem unnecessary or trivial, these inspections ensure that we get the best results for each rug we service. Adding to the difficulty of cleaning is the fact that Persian rugs are typically created with all kinds of designs that very few other rugs can boast – due to their deep-rooted cultural role, weavers and creators of Persian rugs have spent countless hours creating a unique design for every piece. These designs are sometimes made with 'softer' or natural dyes that aren't fond of commercial cleaning agents and rarely respond well to them. Add to this the fact that Persian rugs aren't always easy to import into the country, and you have more than enough reasons to hand them over to professionals come cleaning time. 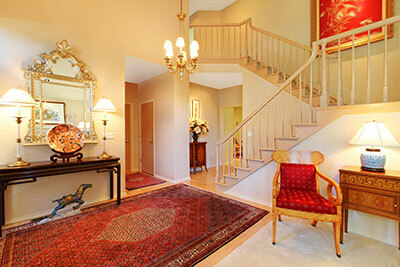 Once we’ve completed a full assessment, our Rug Pros will begin cleaning your Persian rug. In most cases, we prefer to dry clean Persian rugs first using a vacuum, which will make the remainder of the cleaning process a lot as well as increase the effectiveness of our work. That being said, it's not always possible to dry clean a Persian rug that's quite old or fragile, mainly because older rugs are incredibly frail and can get damaged even from a gentle cleaning method. 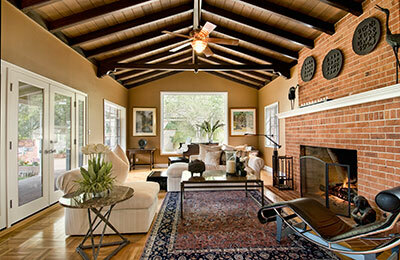 If this is the case with your rug, we will opt for another customized approach. Once we've removed all the dry dirt and grime, it's time to begin our wet cleaning. Instead of machine-washing, our team will wash every inch of your fine Persian rug by hand in order to minimize the chances of damaging the rug. While washing, we'll use slow and gentle movements ruled by methodical patterns, keeping in mind that the health of your Persian rug remains vitally important to us from start to finish. Following the wash, we’ll proceed to drying and ventilating. If any of our staff, or yourself, is not satisfied with the final product, we’ll get right back to work until we’ve presented you with your Persian rug in pristine condition.